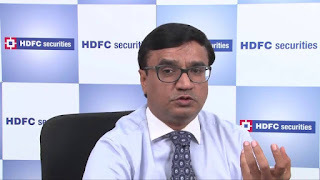 The comments by Mr. V K Sharma, Head - PCG & Capital Market Strategy, HDFC securities on NSE’s NIFTY scaling new lifetime high. "The Nifty scaling a new life time high is no news as we are only following the American, European and other Asian markets. The corporate results , globally are going to be better, the minutes of the last Fed meeting were also dovish. With domestic investors dipping their toes in the equity markets at an accelerated pace , the process of making new highs in the markets is likely to continue beyond the immediate highs. While the Nifty has made a new high in September, 2017 the SENSEX has not. With the festive mood in the air, markets are likely to do well in the October month, which has historically been the weakest."